Zorree for the long silence. Bees hibernate in winter so I was totally asleep for a while there. But I’ve woken up early coz it is 2012 already! OMiBeez! 2012 is a big year for my hive. My bruv boy bee says he is in training for the honey speed eating Olympics. I think he just eats too fast and too much and is lying. Whevs. I have exciting newz. 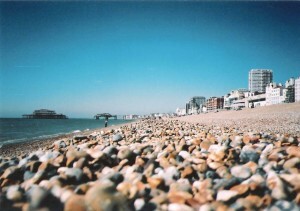 Bee Detective show dates have been announced for Brighton Festival. We are doing 9 shows there 5, 6 and 7 May. Yezzzzz! We’re gonna bee in the London 2012 Festival! Czzech it: London 2012 Festival webzite. OMDZ! So much to tell youze. Where do I start? I’ve been invezztigating more about about how beez make honey, hives, raise bee babeez and all the various hypotheses and hypozabeez for why they are endangered. There are lots of causez. Honeybee probz are pretty much the fault of human beings. Thankz humanz. Tzzzk. 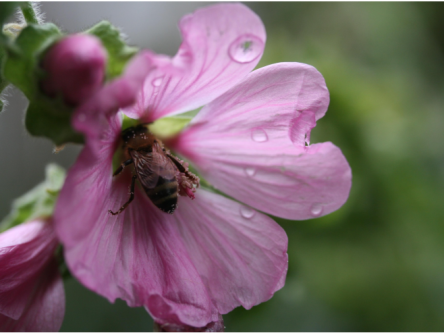 Howevz, I’ve also been speaking to some nize urban bee keepers who tell me wild honeybeez can’t survive on their own. This meanz the only hives you see nowadays are box shaped ones made by humanz. 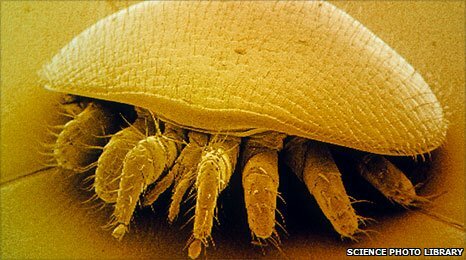 The biggest threat in the UK is the Varroa Destructor Mite (which found its way here thanks to the way humanz have transported beez over long distances for our bee holidayz- more of this in a future bzlog). Varroa mites are really vile in every way. 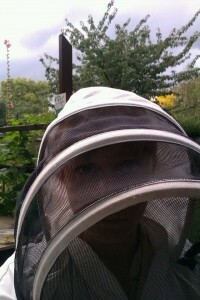 One bee keeper I interviewed had to stop himself zzwearing about them. The more I find out about these parazites, the more passionately I feel too. They will make a really good baddy in the Bee Detective story. The have a sort of body armour and blood sucking pincers. These mites could be great to animate. Mites have built up an immunity to pesticides. I’m told one way to get rid of them is to cover honeybeez with icing sugar. Which sounds like a fun thing to do in our Bee Detective show – throw sugar around. Fighting evil with icing sugar. When beez clean the sugar off, they also knock the mites off their backs. Icing sugar is like dandruff shampoo for beez. One one particular hive visit, I saw beez eating piles of sugar piled into their comb. I found out that imported New Zealand beez get fed loads of sugar because they’re a bit lazy and can’t be bothered doing much food foraging. Lazy bees! Lolz! I was fun meeting the bee keeping expertz, especially clambering about on a rooftop to get to the nursery hives. 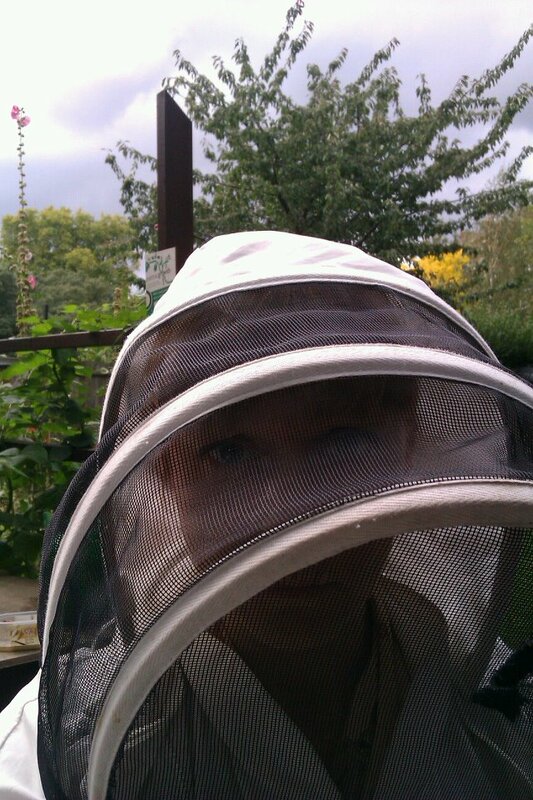 I found it impossible to lipread bee keepers through the protective headgear (coz I’m deaf), so I’ve been taking intrepid zzign language interpreterz with me to translate. My videos are a bit shakey as I was trying to take notes whilst watching the interpreter and film simultaneously. Here’s a quick clip of a few thousand mates on bee tv. 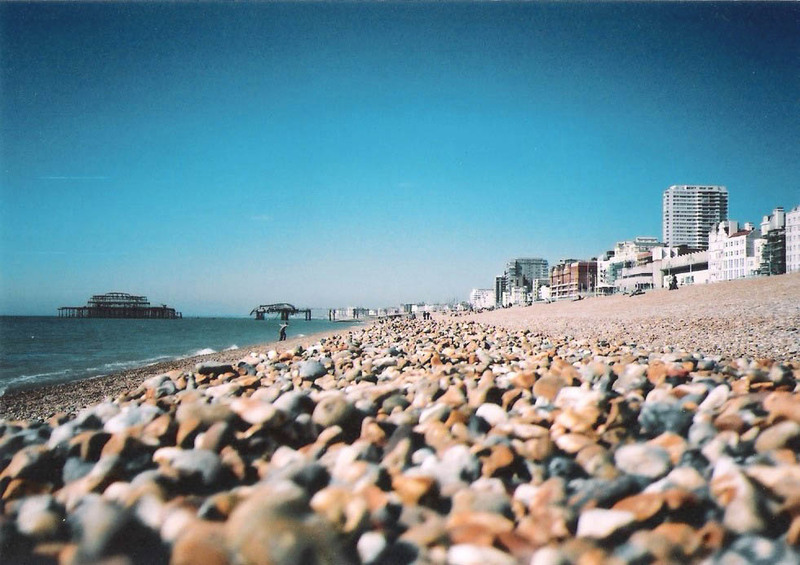 My homies from sophie woolley on Vimeo. More on my bee hive visits zzzoon – bee bye for now. Internet bees are currently constructing this website. 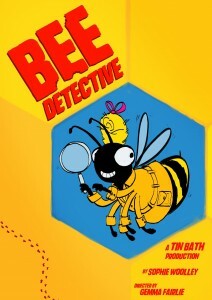 I’ll be blogging about the creation of a new show called Bee Detective. I’m researching and writing the script at the moment. Although I’m concentrating on honeybees, I was happy to receive a surprise visit from a giant bumble bee last week. 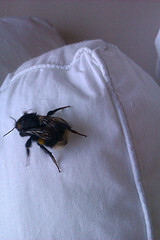 Bee in my bed! October 2011 Bee Detective post. from sophie woolley on Vimeo. 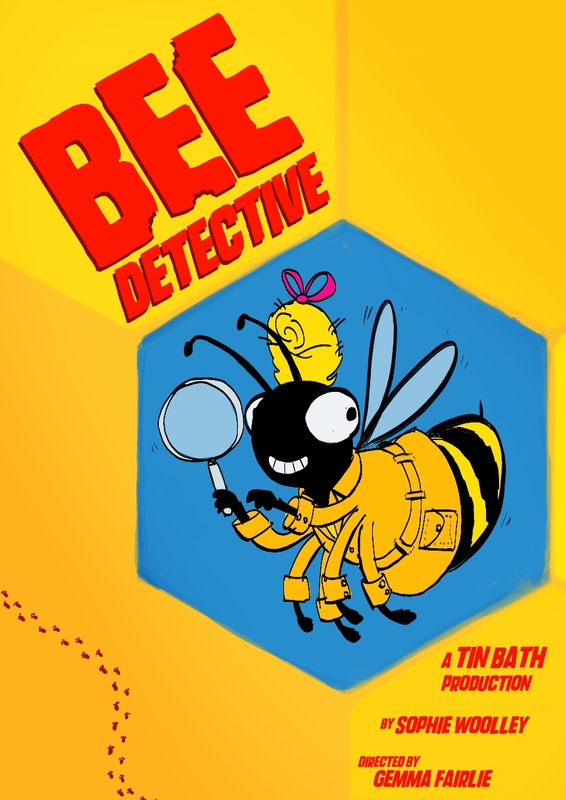 Bee Detective is an outdoor show, staged in a tent at festivals this summer. Sophie Bee’s busy life is a happy buzz of pollen seeking, dancing with her fellow bees and making yummy honey. But when the worker bees begin to disappear, can Sophie use all her deductive powers to solve the mystery and save the hive? Staged in a bee-autiful tent, this interactive, multisensory theatre experience invites you to join the investigation and help the intrepid Sophie with her enquiries. Combining performance, projected animations and waggle dancing, BZZZzzzzzzzzzzzzzzzzzz. Bee Detective is accessible to deaf people through innovative projected captioning and sign language and essential viewing for all. SHOW DATES CONFIRMED SO FAR: Brighton Festival 5,6, 7 May, Unity Festival Cardiff WMC 23 & 24 June, Unlimited Festival @ Southbank Centre 31 August, 1& 2 September.